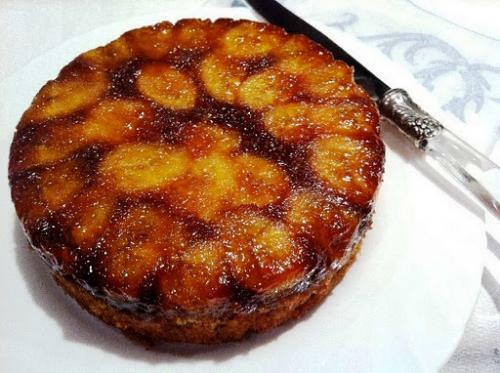 When it comes to baking, bananas are one of my favorite ingredients. They are delicious and versatile but bananas are not just simply good: they are actually good for us! A banana has more or less like 100 calories per piece. They are very satiating and easy to digest when eaten as a snack. Vitamin B6 (pyridoxine), often called the “mood vitamin” because helps our brains and metabolism. Our body requires vitamin B6 to convert amino acid L-tryptophan into a neurotransmitter called serotonin. Vitamin C (15% DRA) is a powerful antioxidant that boosts our immune system. It also helps regulate your blood sugar and grow and repair body tissue. Potassium (13% DRA) Low potassium is linked to high blood pressure and increased risk of stroke. Besides, potassium helps to prevent muscle cramps. Now I want to share with you, a few of my favorite recipes with bananas. 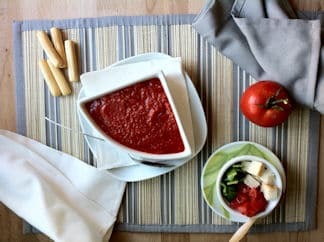 I love them because they are simple, authentic, and so easy and quick to make. Maybe the amount of butter, sugar, flour and so on that these recipes involve contradicts all the benefits stated above but… What can I do, I’m a sweet tooth. And I’m a Baker, a Daring Baker, yay!!! Preheat oven to 180ºC/160ºC. Grease deep 22 cm-round cake tin line base with baking parchment. Stir caster sugar and the water in a medium saucepan over heat, without boiling, until sugar dissolves; bring to a boil. Boil, uncovered, without stirring, about 10 minutes or until caramel in color. Pour toffee into prepared tin; top with the sliced banana. Combine eggs (slightly beaten), oil, brown sugar and extract in a bowl. Stir in sifted dry ingredients, then add the mashed banana. Pour mixture into tin; bake about 40 minutes. Turn cake onto serving plate; peel off baking parchment. 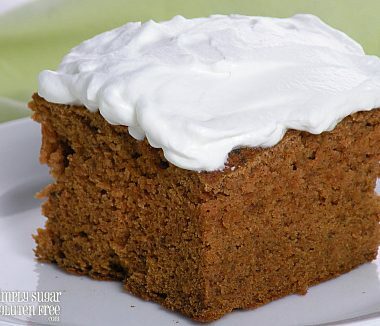 You can serve cake, warm or at room temperature, with thick cream if desired. Preheat oven to 180ºC/160ºc. Grease a bundt or savarin tino r a 24 cm patterned silicone tube tin. Beat butter and sugar in the bowl of your electric mixer until pale and fluffy. Beat in eggs, one at a time. Stir in sifted dry ingredients by hand, then mix in mashed banana and milk. Spread mixture into prepared tin. Bake about 40 minutes. Stand cake tin at least 10-15 minutes before turning onto wire rack to cool. Mix butter, molasses and sugar. Beat until creamy. Stir in dry ingredients sifted. Mix until dough resembles Brown sugar. Add eggs, one at a time, mixing well after each addition. Beat in the rest of ingredients. Do not overmix. Bake for 50-60 minutes, stand the tin for at least 10 minutes. Turn onto wire rack to cool. Preheat oven to 350 degrees F (180 degrees C) and place the oven rack in the middle of the oven. Either line 12 muffin cups with paper liners, or you can butter or spray them with a non stick vegetable spray. In a large bowl combine the flour, sugars, baking powder, baking soda, salt, and white chocolate chips. In a medium-sized bowl combine the mashed bananas, melted butter, eggs, and vanilla. With a rubber spatula or wooden spoon, lightly fold the wet ingredients (banana mixture) into the dry ingredients just until combined and the batter is thick and chunky. (The important thing is not to over mix the batter. Over mixing the batter will yield tough, rubbery muffins.) Spoon the batter into the prepared muffin tins. Bake about 20 – 25 minutes or until a toothpick inserted in the center comes out clean. Place on a wire rack to cool for five minutes and then remove muffins from pan. Serve warm or at room temperature. This is so obvious, so easy and quick to make that I can hardly call this a recipe but I love them. Put bananas and sugar in the bowl of your electric mixer. Mix until completely blended. Divide the mix into 4 shot glasses, top with a spoonful of fresh milk foam and sprinkle with cinnamon. And what are your favorite recipes with bananas?